Anytime I find a product that will make my kitchen time easier or put a smile on my face... I'm all for it! I'm not a fan of cooking. It's actually one of the things that I just don't enjoy. I don't mind cooking for my family, but I struggle finding joy in this area. 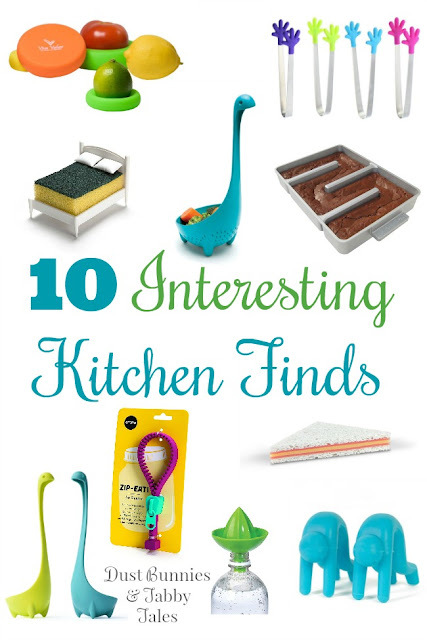 So, when I see products like the ones below, it actually makes me want to get in the kitchen. How cute is this little guy?! I have two colanders and they are definitely not as fun as him! These would come in so handy when you need to store half a lemon, lime or tomato! My favorite part of a brownie is the crispy edges! I need this pan! Add lemon or lime right into your water or favorite beverage. Brilliant! It may be kind of odd washing your dishes with a sandwich, but just think about how good you can get in the corners with that bread! 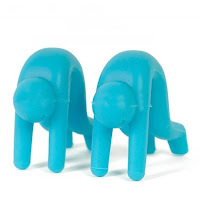 I don't know what I would do without my jar openers, but they aren't as cute as this one! Awww.. you can put your sponge to bed after your night routine. Adorable! I always have an issue in the kitchen on where to lay my lid when I remove it from the pot. Issue solved! 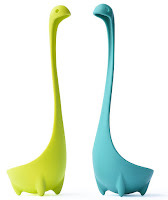 My ladle's days are numbered and I have my eye on these! Too cute! My husband just picked up two of these for me from Wally World and I instantly fell in love! 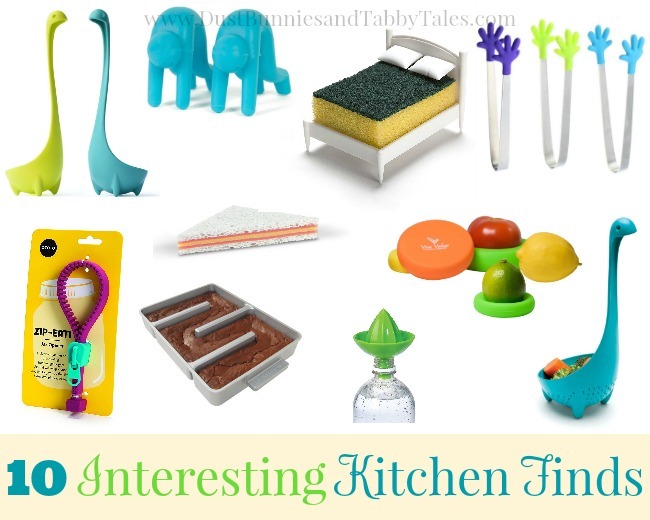 Do you have any favorite interesting kitchen tools that you use?